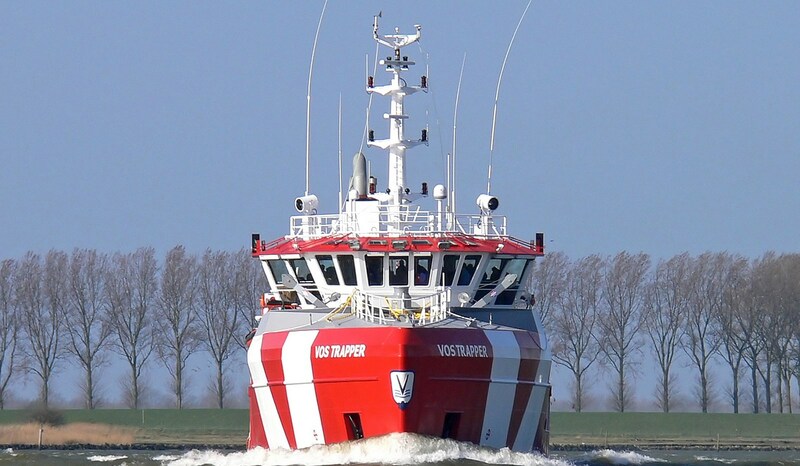 This vessel is solely designed for standby operations. Its uncompromising build and fit-out ensures that every detail maximises its ability to facilitate these operations. The relevant legislation of the Netherlands, UK, Denmark and Norway is strictly adhered to. Great attention has been given to an economical propulsion layout. 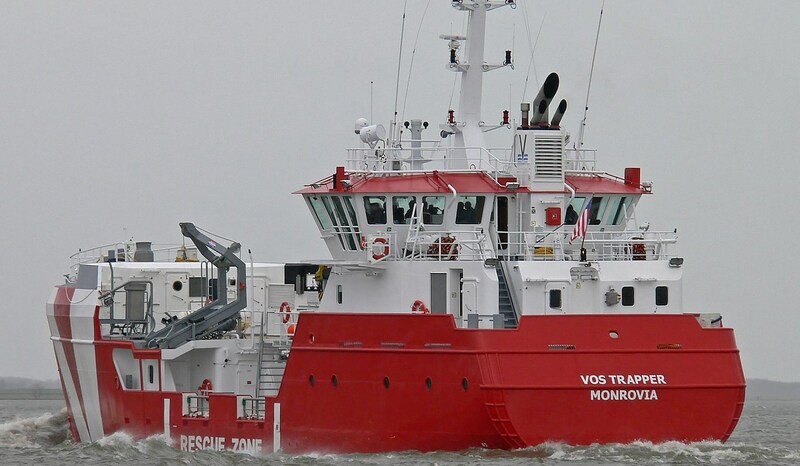 A basic single screw propeller layout in combination with a retractable bow thruster delivers a highly cost-effective solution. 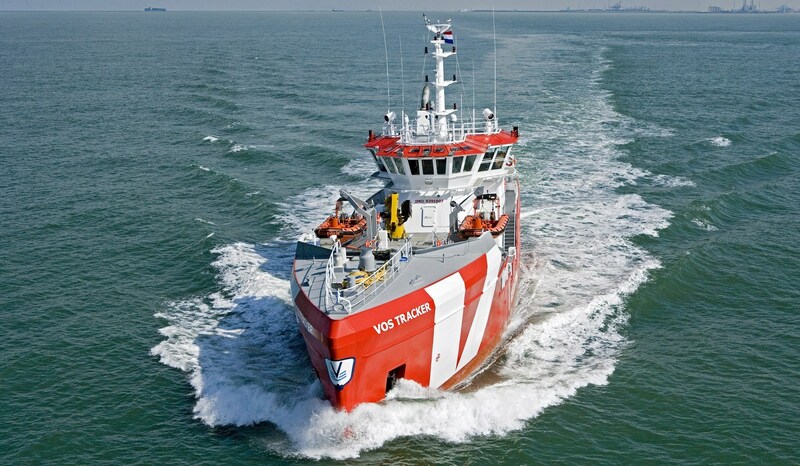 Fuel efficient loitering at low speeds is achieved by using only the retractable bow thruster. 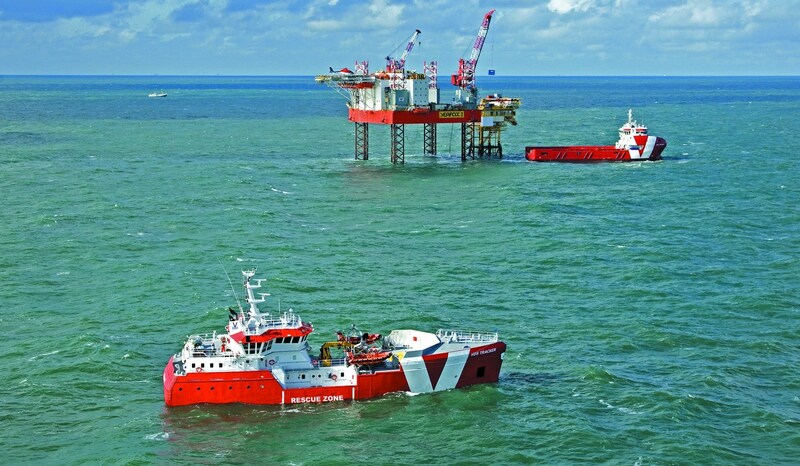 The design process involved extensive analysis of the requirements for effective seakeeping performance in conditions typically encountered in the southern part of the North Sea. Special attention was paid to crew comfort over prolonged periods at sea, and for this reason the living quarters are positioned in the aft section of the vessel. 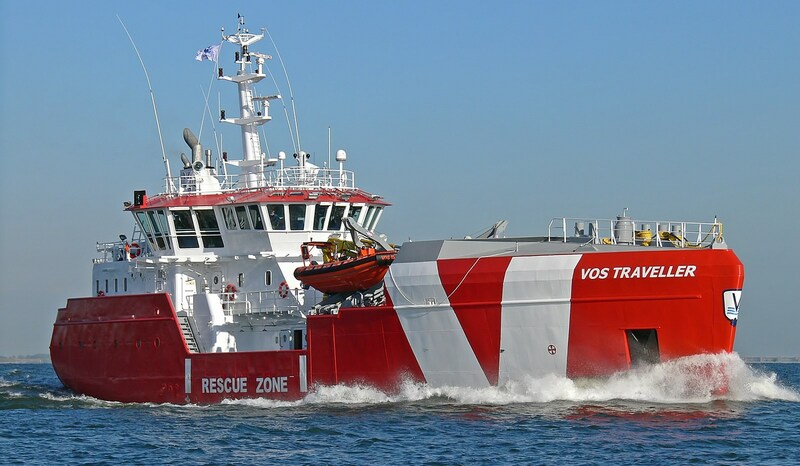 Safety Standby Vessel 4711 "VOS Traveller"
Safety Standby Vessel 4711 "VOS Trapper"
Safety Standby Vessel 4711 "VOS Trader"